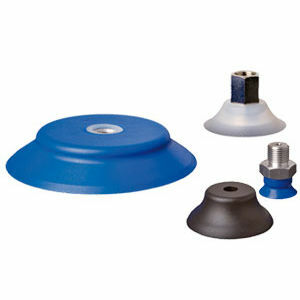 Flat vacuum cups, also known as flat suction pads or flat suction cups in the handling industry, allow you to handle flat products with smooth surfaces with high process security. 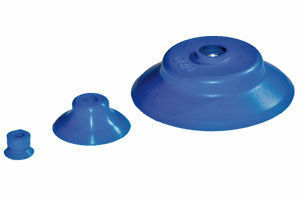 Rapid cycle times are achieved thanks to the low internal volume – perfect for highly dynamic systems. 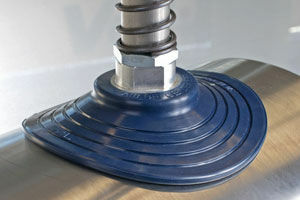 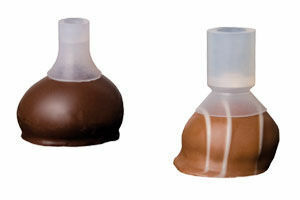 The outstanding stability of FIPA flat vacuum cups, often reinforced with support ribs, allow products to be adjusted. 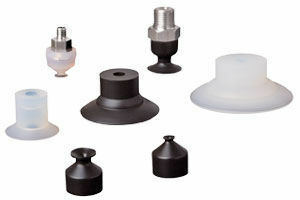 The selection of FIPA flat vacuum cups includes, e.g., universal models, temperature-resistant flat vacuum cups made of Thermalon®, modular and anti-slip flat vacuum cups, models with flexible or curved lips, short lift vacuum cups, flat vacuum cups with permanently mounted fittings as well as highly specialised series, such as e.g., flat vacuum cups for dynamic handling of sheet metal, flat vacuum cups for chocolates, flat vacuum cups made of silicone for tubes, heavy duty flat suction plates and XXL suction rings.